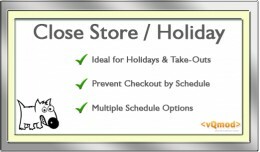 Ideal for Restaurants and Take-outs Allows you to close your store by stopping the checkout pages from showing (disabling the checkout) - this lets customers still use all the functions of your store and search engines to index it. 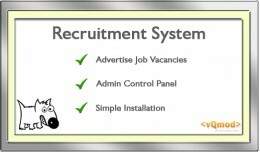 If you ..
Close Store/Disable Checkout/Holiday & Openi..
A complete recruitment system for advertising job vacancies which includes a Module for job listings, a jobs listings page and an application page. Application page is SEO and Captcha enabled and has a fully functioning admin interface and .. 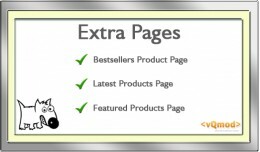 This extension provides you with 3 new pages (supports pagination and sorting): a Bestsellers Page, a Latest Products Page and a Featured Products Page. Click here to see it in action and click on the links in the footer. There is an admi.. 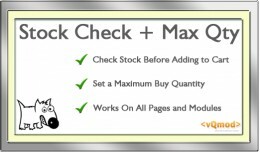 The extension also adds stock checking to prevent adding more items to the cart than are in stock - this is done at the product page and works at the option level, it also tells you which option doesn't have enough stock if there are multiple op..
Want more customers? Why not allow customers to dropship with you. 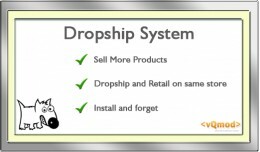 This extension makes it easy for you to run a dropship store along side your regular store. Customers in the 'Dropship' group can place orders and specify a delivery address ..
Now includes 3 WISHLIST REPORTS and OPTIONS and QUANTITIES! Added additional wishlist data (Name, wishlist name, email, sharing on/off switch and also added Search for Wishlist page and results - A bit like the Amazon wishlist With additio.. This gives you some extra buttons on the Order History and Return History pages which can be used to insert pre-set order comments in to the comments box. For 1.5x there are 2 versions of each extension included: a 6 button version and a 20 B.. This is a small extension that will allow you to edit the 'Date Added' for a product. Once installed you will find a new box on the product edit page > data tab above the date available box that will allow you to change the date and time that.. 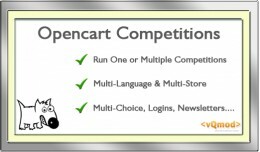 The Opencart Competition Systems lets you run competitions from your online store. Everyone likes something for free - this can generate a lot of traffic and potential new customers to your site. 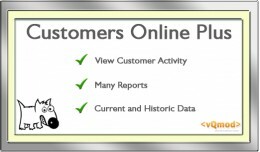 This is a fully featured competition system t..
With this Gift Registy extension you can get your customers to do the selling for you and keep them active at your store! Create multiple Events/Wishlists/Gift registries with OPTIONS and QUANTITIES. Lists can be PUBLIC or PRIVATE, Send Not.. This is a Bestsellers, Latest and Specials module filtered by the category that is currently being viewed. It falls back to the standard 'global' bestsellers,latest and specials if you are not looking at a category page. All the clever stuff .. 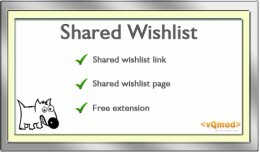 This is a simple shared wish list extention which lets customers distribute a link that allows them to share their wishlist with others. The Shared Wishlist page is all new files so just upload the catalog folder 'as is'; there is a vQmod to .. 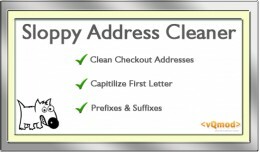 This cleans up address by correcting the case. So many people seem incapable of typing their address correctly (capitalized first letters) that I've had to resort to doing it for them! It's not perfect and may need a little more refinement b.. 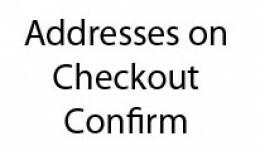 This is a vQmod that adds the Shipping and Payment address to the final screen of the checkout (confirm). I NO LONGER RECEIVE COMMENT NOTIFICATIONS - IF YOU NEED ASK SOMETHING THEN PLEASE USE THIS LINK FOR PRE-SALES ENQUIRIES OR SUPPORT: EM..
An updated verison of this which includes stock checking and min/max validation can be found here: Stock Check and Max Quantity This is a vQmod to add a maximum order quantity per product. 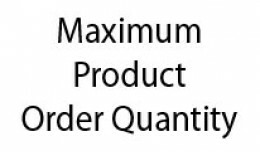 Works in reverse to the minimum order quantity. D.. 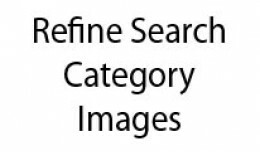 This mod will give you images in the Refine Search box on the category page (sub category images). Included is a vQmod, instructions on how to manually alter the files and replacement default files if you want to use them. You'll need to a.. 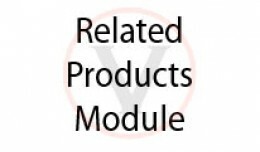 This is a related product module that can be displayed in the side column (or content top and bottom if you wanted). Updated so only shows the box if there are any related products. It shows the same related products that appear in the tabs o..